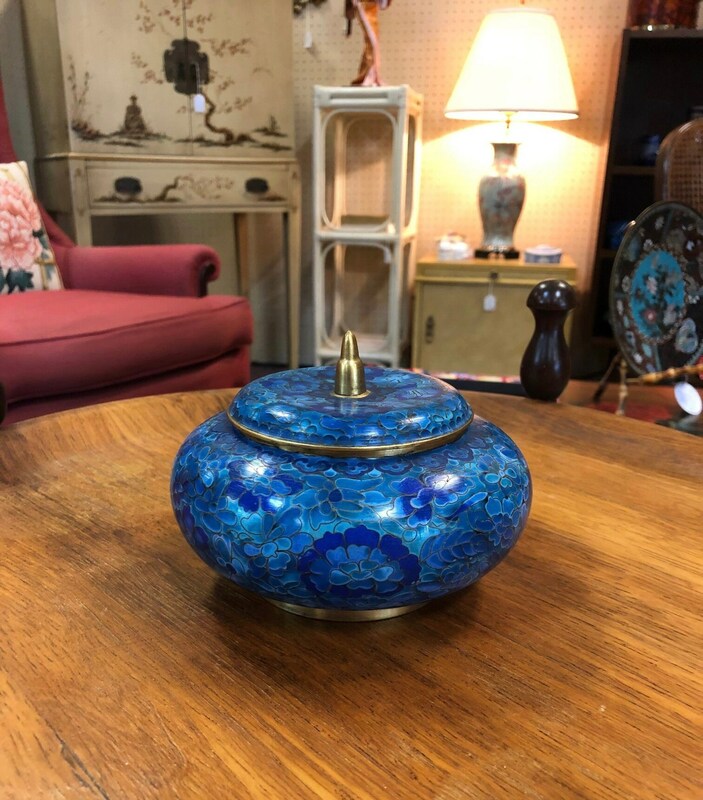 Pretty small blue genuine cloisonne lidded jar. 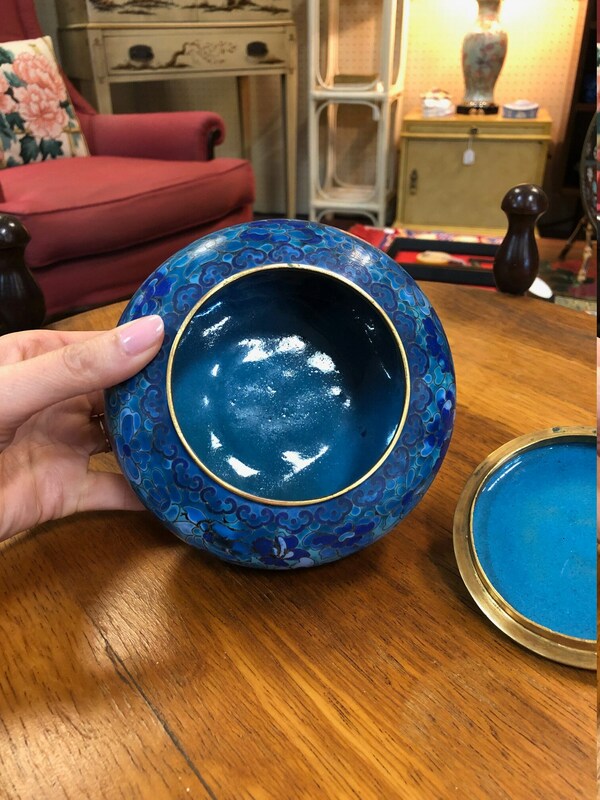 Great for storing your potpourri. Condition: Good vintage condition with subtle wear commensurate with age. Shipping: $12 via insured UPS Ground Shipping. Approximately five business days.